Welcome to OCA's Home Page! 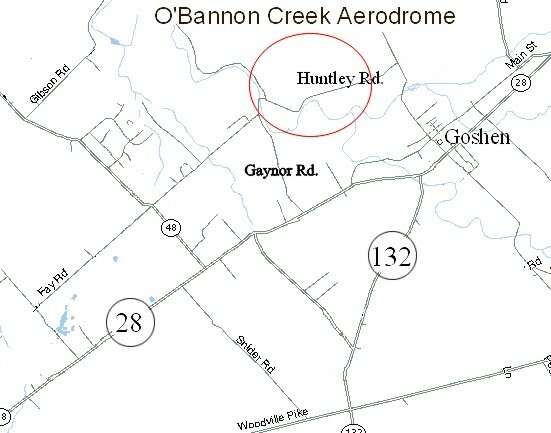 NOTE - Huntley road no longer goes through from Goshen road to Gaynor road. You must enter the Aerodrome via the west end of Huntley road and Gaynor road. Goshen is located north and east of Cincinnati, outside of the I-275 loop. Take 275 to the Milford/Blanchester/State Route 28 exit (exit #57) (this exit is between Loveland and Eastgate). Goshen is about 6 miles up SR 28. Presently you must get to Gaynor road via Fay road off of State Route 48. Turn right on Fay road if you are coming from State Route 28. Fay dead-ends onto Gaynor Rd. on a ridge overlooking the airpark and runway. Turn left on Gaynor Rd. and head down the hill. 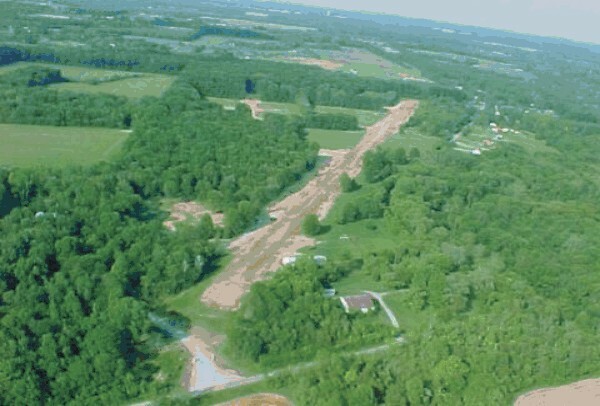 Take the first right just after the one-lane bridge over the O'Bannon Creek onto West Huntley road. The sign may just say "Huntley Rd.". Turn left about 200 yards up West Huntley road through the stone pillars and black iron gates onto Blue Sky Drive. 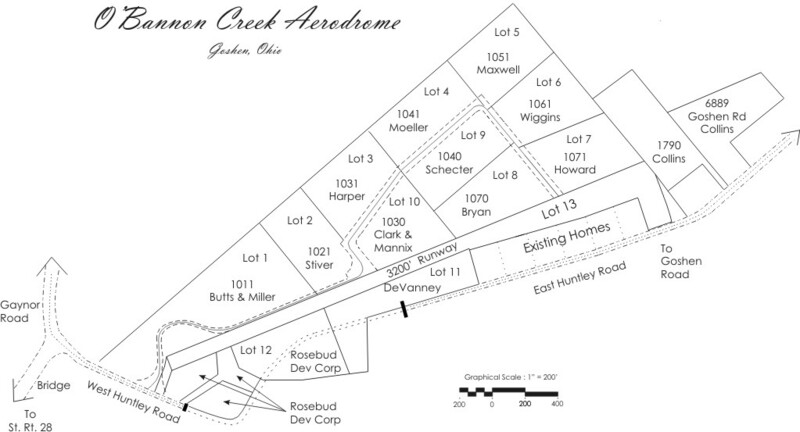 Airpark Legal documents Click here to look at the Covenants for our airpark. Frank and Mo's page Back to Frank and Maureen Howard's web page.